The CID said it was currently investigating the detection of some Swiss Francs one million and US$ 200,000 in a house in Mount Lavinia to ascertain whether it involved a breach of Exchange Control laws. “The CID found a brief case containing foreign currency after a complaint was made by Tharindu Lakshitha that money given by his uncle was in his house. 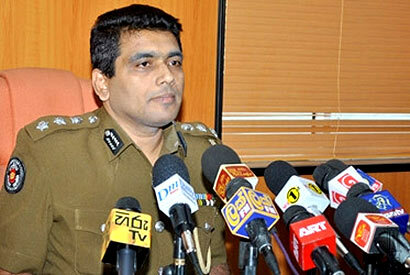 The brief case was opened in the presence of the Mount Lavinia Magistrate,” Police spokesman Ajith Rohana said. “We investigating whether these funds had any connection to common opposition candidate Maithripala Sirisena” he said. SSP Rohana said 32 bank accounts belonging to three suspects including a person named Athula Weeraratne and his wife had been frozen. Media reports had earlier alleged that Mr. Weeraratne was closely associated with Mr. Sirisena.